REDUCED FROM $13,995!, EPA 37 MPG Hwy/25 MPG City!, PRICED TO MOVE $2,000 below NADA Retail! Back-Up Camera, Turbo, CD Player, Satellite Radio, TRANSMISSION: 6 SPEED AUTOMATIC W/SEL... SE MYFORD TOUCH TECHNOLOGY PACKAGE READ MORE! 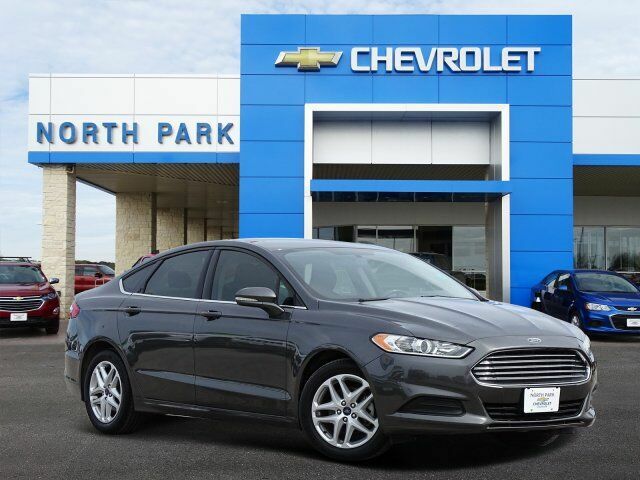 Back-Up Camera, Satellite Radio, CD Player Ford SE with Magnetic exterior and Charcoal Black interior features a 4 Cylinder Engine with 181 HP at 6000 RPM*. Was $13,995. This Fusion is priced $2,000 below NADA Retail.